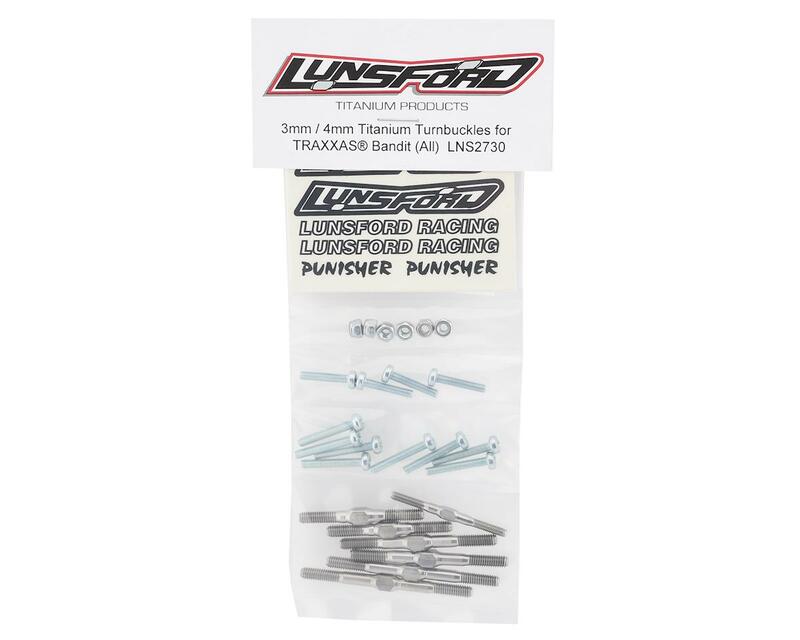 The Lunsford "Punisher" Traxxas Bandit Titanium Turnbuckle Kit is a 4mm Titanium Turnbuckle upgrade kit that greatly increases turnbuckle strength. This kit is especially designed for those that currently have plastic links, are using older generation 3mm diameter turnbuckles, or for those that want a stronger option than Chinese steel. All camber and steering turnbuckles have been upgraded to 4mm. If you are upgrading from plastic links or 3mm links you will need the Traxxas rod ends listed below. 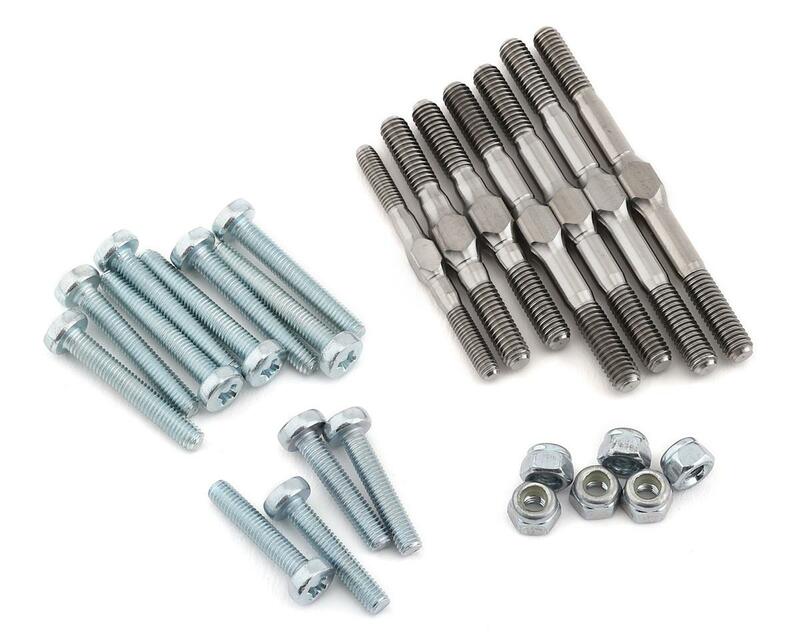 Lunsford includes fasteners where needed. 4mm nut for easy turnbuckle adjustment. Increased strength and reduction in weight compared to plastic and/or steel links. Converts lower end models or older models to fully adjustable 4mm turnbuckles. All necessary fasteners included for the conversion. (Rod ends are not included for those that are upgrading from plastic links or 3mm diameter tie rods. Rod ends needed are noted below). Grade 5 fatigue strength is 530-630 (MPa). Grade 2 is 250. Grade 5 shear strength is 600-710 (MPa). Grade 2 is 270. Grade 5 tensile strength is 1000 to 1190. Grade 2 is 420. Grade 5 strength to weight is 2x that of Grade 2. From raw material to the finished product, all Lunsford Grade 5 titanium is born and bred in the USA. Manufactured in Albany, Oregon USA at the Lunsford compound. 100% USA sourced, produced, designed and developed.